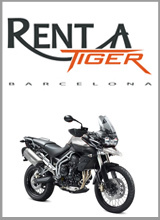 We are pleased to announce that a new sponsor has joined the forum: "Rent a Tiger". They will be on-site soon to answer your questions and queries. Please give them your support !